Cover4Caravans » Resources » Beating the biters! How NOT to get bitten on your Summer holiday! Beating the biters! How NOT to get bitten on your Summer holiday! Once upon a time, you only really had to worry about being bitten to death by pesky mosquitoes, insects and other nefarious bugs when you took your caravan abroad. With the sub-tropical summers we’ve experienced in the UK of late, the dangers may be somewhat closer to home. So, whether you’re looking forward to your next Summer holiday in your caravan in this country or on the Continent, here are a few tips on keeping all those bugs at bay and avoid getting bitten. The risks of becoming seriously ill following an insect bite or sting in the UK is thankfully quite small, according to reassuring advice from the NHS. There is less room for complacency when you travel abroad. In the future, said a report by Reuters on the 28th of March 2019, there may be even more to worry about if climate change brings potentially fatal diseases, such as dengue, chikungunya and Zika, to parts of Europe. avoid healthcare and beauty products – such as deodorants, shampoo and soaps – which have strong perfumes, since some might attract insects. Public Health England stresses the importance of using insect repellents – night and daytime, inside your caravan and when outdoors – on areas of exposed skin. The active ingredients need to be either DEET, lemon eucalyptus extract or PMD, or Picaridin (20%). Of the three, Public Health England recommends 50% DEET as the most effective, since it is the longest acting, and you don’t need to apply it so many times during the day. It also contains the active ingredient believed to have no ill-effects on pregnant women or their unborn children. These repellents may be bought over the counter as creams or sprays, but many of the active ingredients are also available for slow, vaporised release in small plug-in electric devices. 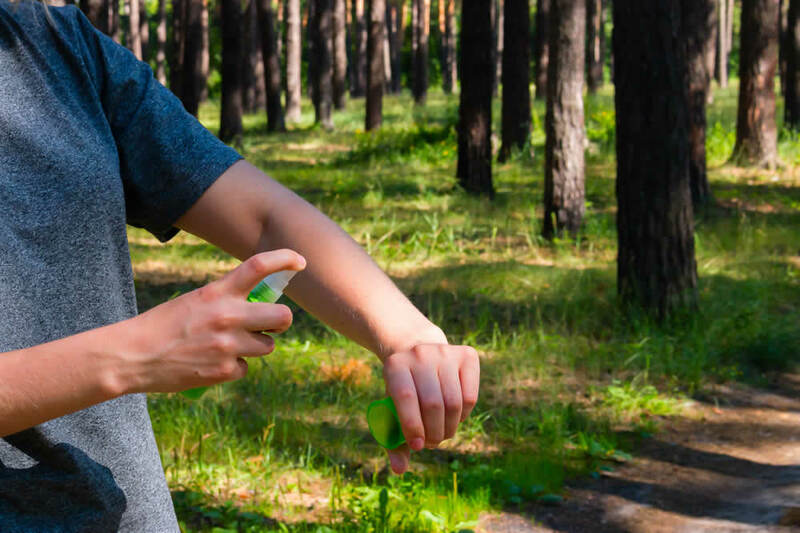 Travel Sage suggests the top five of these gadgets, which use various repellent chemicals, such as allethrin, permethrin, and DEET. If you want to stick to an entirely natural repellent, slow-burning citronella candles or other essential oils (such as oil of lemon eucalyptus) might be your preference. The company Body Source even sells special bracelets you can wear which are infused with 100% natural ingredients comprising citronella, lemongrass and geraniol essential oils.